"Our abilities can't fix things. If something's broken, it stays broken." Liongsate + Codeblack Films have debuted the first official trailer for an indie film titled Fast Color, which premiered to quite a bit of acclaim at the SXSW Film Festival last year. The film is about a young woman who is forced to go on the run when her superhuman abilities are discovered. Years after having abandoned her family, the only place she has left to hide is home. Talented actress Gugu Mbatha-Raw stars as Ruth, with a small cast including David Strathairn, Saniyya Sidney, Lorraine Toussaint, and Christopher Denham. This received fantastic reviews out of SXSW and looks like a promising little film, lead by a powerful performance from Mbatha-Raw. I'm very much looking forward to catching this, what a tremendous trailer that will get your attention. In Fast Color, Gugu Mbatha-Raw plays Ruth, a young woman who went on the run when her superhuman abilities were discovered. Now, years after abandoning her family, the only place she has left to hide is the farmhouse where she grew up. Fast Color is directed by American writer / filmmaker Julia Hart (follow her @juliahartowitz), making her second feature after Miss Stevens previously. The screenplay is written by husband & wife team Julia Hart & Jordan Horowitz. This premiered at the SXSW Film Festival last year. 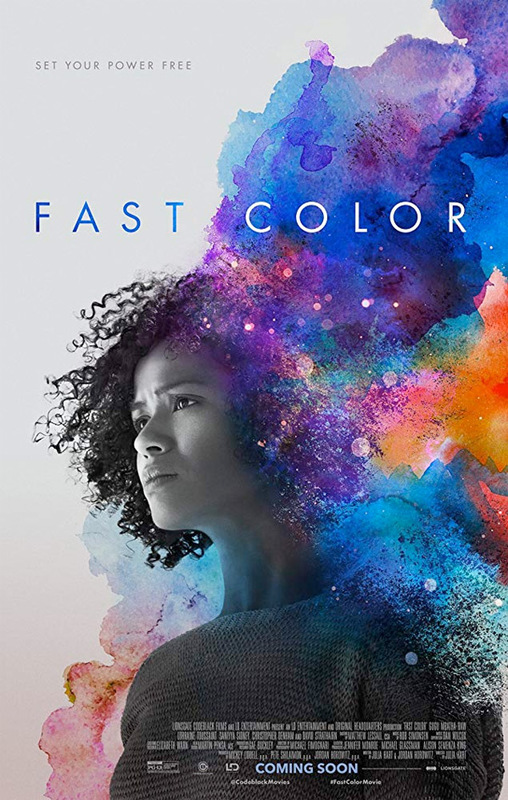 Lionsgate will release Hart's Fast Color in select theaters starting April 19th coming in spring. Interested?